Innovative switching solutions without the cost and complexity of big IT. The NETGEAR ProSAFE series is an innovative and cost-effective switching solution for small to medium organisations. For smaller organisations, the easy to install and use NETGEAR Smart Managed, Web Managed (Plus) or Unmanaged switches are an ideal choice. At the other end of the scale, larger organisations, such as universities, may find that the NETGEAR’s Fully Managed infrastructure solution is a better fit for their needs. 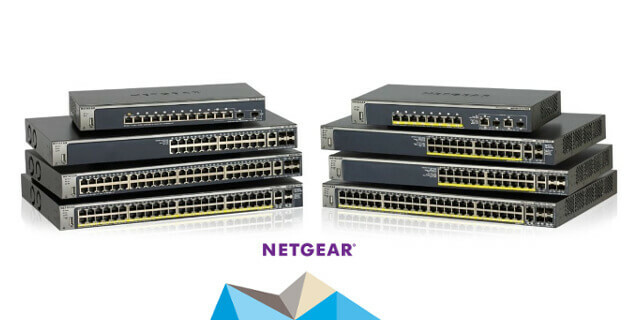 The NETGEAR M5300 Series is ideal for 10 Gigabit Ethernet backbone architectures. An entire network’s performance and redundancy can be enhanced by leveraging virtual chassis stacking technology and distributed link aggregation. 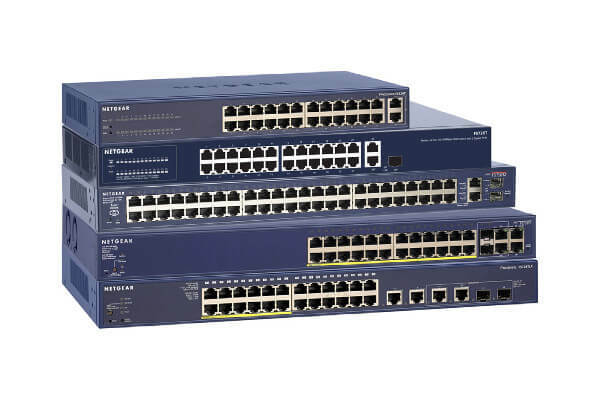 NETGEAR M4100 Series switches are an extremely cost-effective component of converged voice, video and data networking solutions. 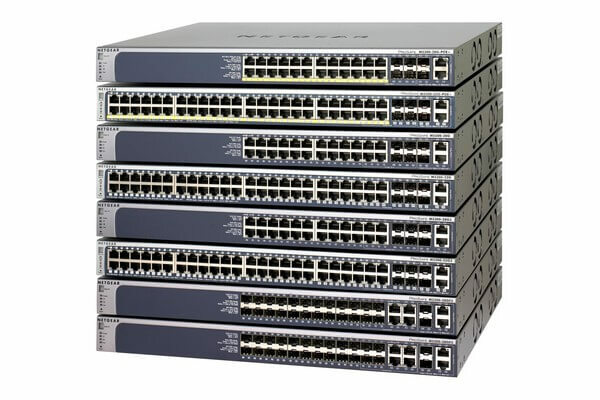 These access layer switches feature superior resiliency, advanced security, and comprehensive Layer 2, Lite Layer 3 and Layer 4 switching. 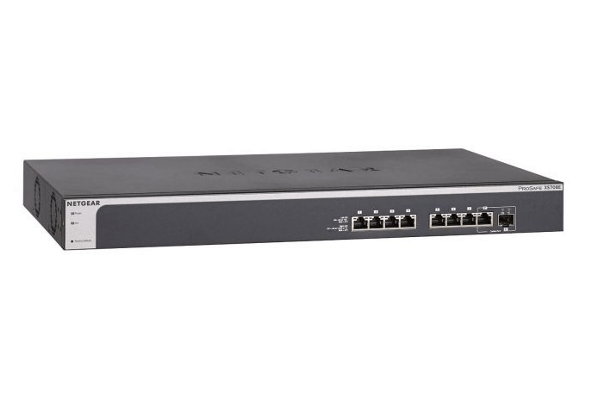 NETGEAR 10-Gigabit Smart Managed Switches feature cost-effective 10GBASE-T connectivity and advanced L2+/ Layer 3 Lite capabilities. These industry-leading switches have been designed specifically to meet the needs of small and medium size businesses. Designed specifically for small and medium size businesses, these switches feature easy management and are simple to deploy. 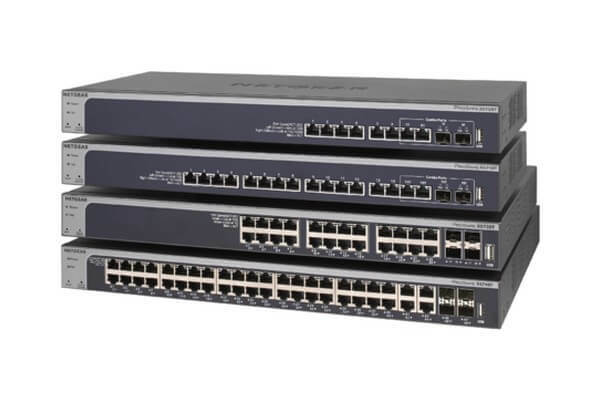 NETGEAR ProSAFE Smart Managed Switches enable a range of applications for small and medium size businesses such as Voice over IP (VoIP), media streaming, multi-casting and security. 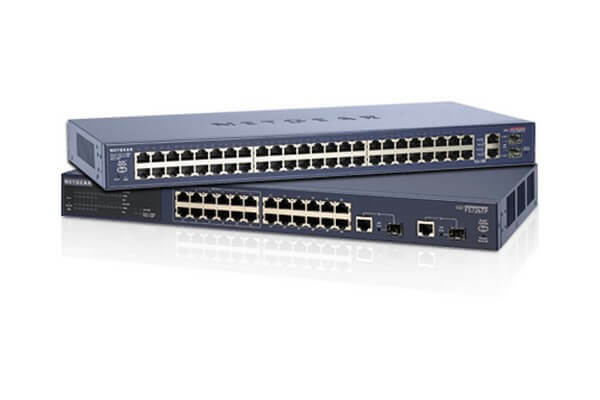 The NETGEAR ProSAFE Web Managed (Plus) 10 Gigabit Switch XS708E helps optimise business network performance while delivering great value. It comes with many configurable L2 network features such as VLAN, QoS, IGMP snooping, port trunking and rate limiting. 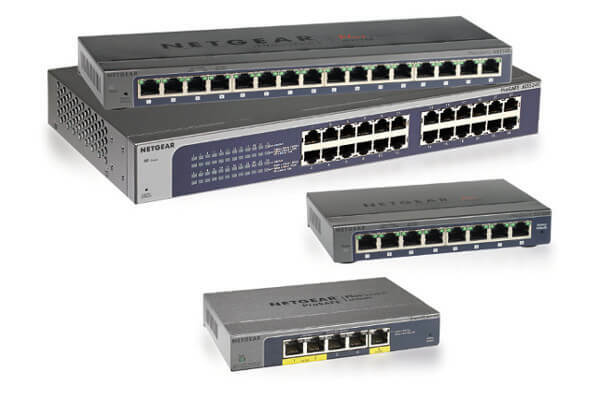 NETGEAR ProSAFE Web Managed (Plus) switches come in a variety of form factors ranging from 5 port desktop to 24 port rackmount configurations. Models supporting Power-over-Ethernet (PoE) can power devices such as IP phones, IP surveillance cameras and wireless access points with just an Ethernet cable making them perfect for low cost PoE deployments. 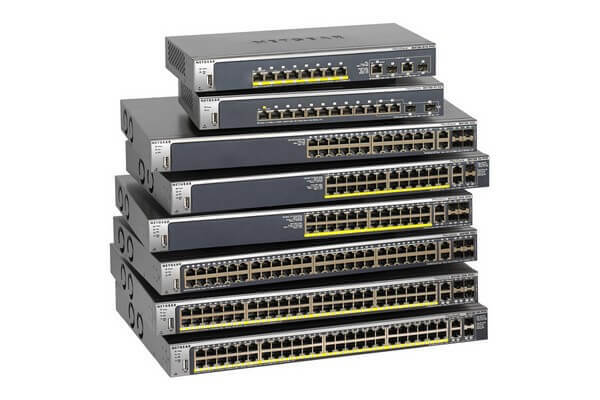 These are an ideal choice when upgrading from an unmanaged switch. They deliver essential networking features at a very affordable price. 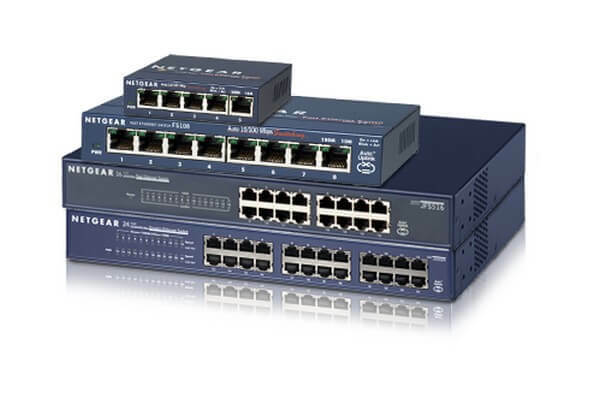 A full range of module and accessories are available to support your NETGEAR switching solution. 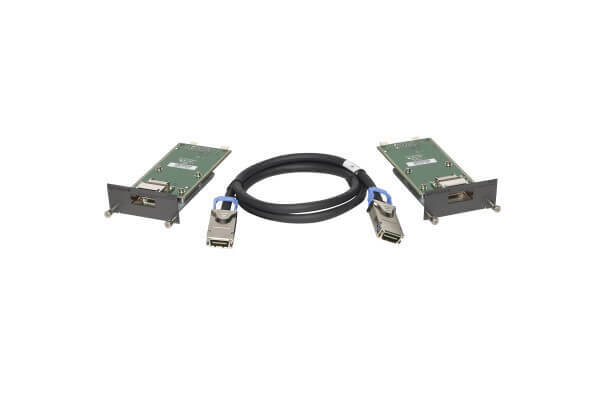 These include Stacking Kits, RPS units, Fast Ethernet, Gigabit and 10 Gigabit SFP optics, and Switch accessories.